MELBOURNE, Jan. 9, 2015 - James Troisi (L) of Australia vies with Faisal Zayed Alharbi of Kuwait during the opening football match at the AFC Asian Cup in Melbourne, Australia, Jan. 9, 2015. Australia won 4-1. 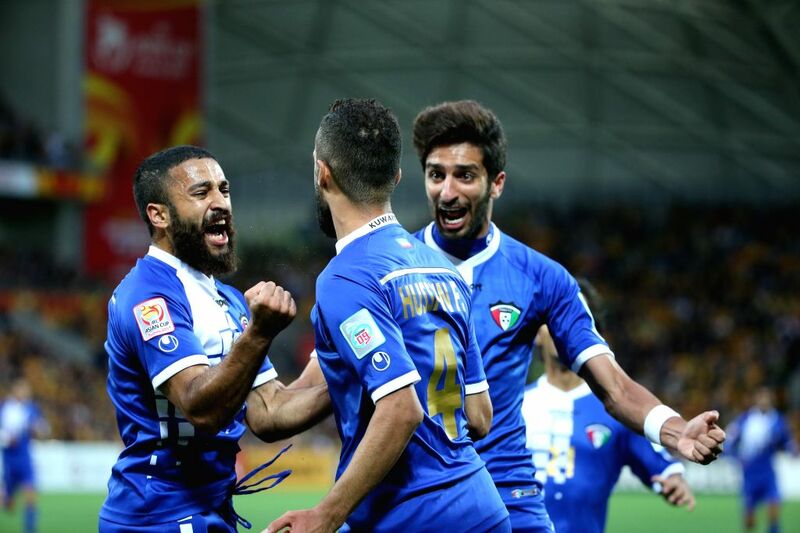 Abdulaziz Alenezi (L) of Kuwait celebrates a goal by his teammate Ali Hussain Fadhel (C) during the opening football match against Australia at the AFC Asian Cup in Melbourne, Australia, Jan. 9, 2015. 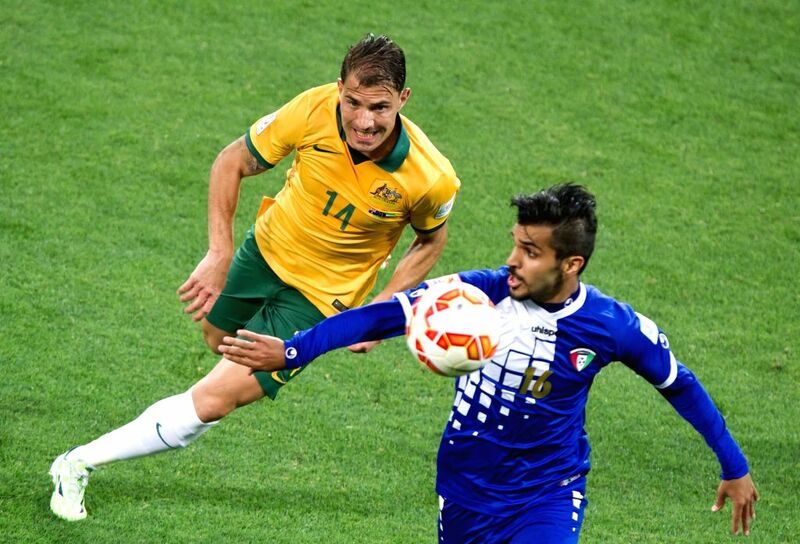 Ali Almaqseed (R) of Kuwait kicks the ball during the opening football match against Australia at the AFC Asian Cup in Melbourne, Australia, Jan. 9, 2015.